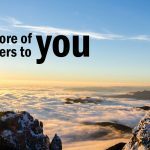 Working inside the Financial Services industry for 25 years (and observing it from the outside for another five) I guess I’ve seen most of what goes on there. I know what good (and fair priced) financial products – and financial advisers – look like. And some of those advisers are really good at their job. But they’re not all equally competent on all subjects – so you need to be on your guard. 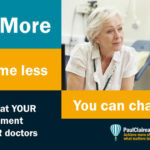 One area that gets me IRATE® is the approach taken by some advisers to manage Investment Risks. And this is where you may experience what I call the Nobel name dropping game. 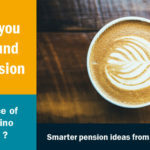 If your current (or prospective) financial adviser assures you that they can keep your Investments safe because they follow a theory by a Nobel Prize-winning economist – ask them this. Which Nobel prize winner are you talking about? The thing is, there have been a LOT of Economics Nobels awarded over the years. And what’s most worrying is that on occasion the economics profession issues Nobel Prizes to economists who don’t even agree with each other. Perhaps you think I’m joking? Well, no. That’s exactly what they did that in 2013. They issued two Nobels in Economics at exactly the same time to two professors with diametrically opposite views on the workings of markets. And here’s a suggestion from a straight-talking Economist in New Zealand – to abolish the Nobel in Economics altogether – because of these problems. Anyway, the most likely Nobel prize winner you’ll hear about from Investment advisers is a guy called Harry Markowitz. And that’s because it’s Markowitz’s big idea (Modern Portfolio Theory (MPT)) that dominates the exam that advisers have to take on investment matters. 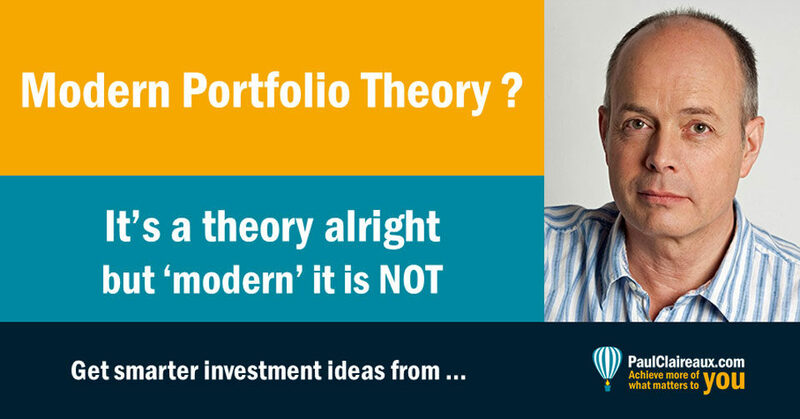 The trouble with ‘Modern’ portfolio theory – besides the fact that it was developed in 1952 – so shouldn’t be called ‘modern’ . . .
. . . is that it’s based on some “flaky” assumptions about how markets behave. Sure, the theory works fine if markets behave as we’d want them to. That’s to say – they just tick over nicely and steadily northwards with only occasional wobbles. But it’s not so good for designing portfolios that will protect your funds in the real world – when markets go haywire. And you may have noticed that markets have done that – several times over the past 20 years. Now, if you’re keen to dig into this – you can find out more about MPT and its problems here on Wikipedia but here are 3 of its failings in a nutshell. MPT assumes that investment returns on different assets are completely independent of each other. So, that means that a collapse (or boom) in one area does not affect another. And that should mean that booming bond markets (which you may have noticed we’ve had, non stop, in recent years due to extraordinary levels of central bank intervention) should have no effect on the Stockmarket! Following on from 1. the MPT assumes that investment returns are purely random in nature – rather like the tossing of a coin. in case you’re not familiar with these – here’s an example of a normal distribution curve. Now this normal distribution model (if it were the right model to describe market movements – which it is not) would suggest that the chance of a giant move in stock market levels is infinitesimally small. Indeed, it predicts that the chances of such GIANT moves are so small that we can ignore them altogether. Or, as one very popular financial educator puts it in one of his lessons . . .
. . . these big events only happen once in a generation. Unfortunately, he’s wrong – big time. 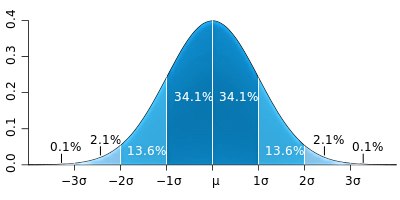 What’s more, this ‘normal distribution’ is the wrong model to use to describe stock market behaviour! You only have to look at the two almighty market crashes we’ve had in stock markets these past 19 years to realise that! 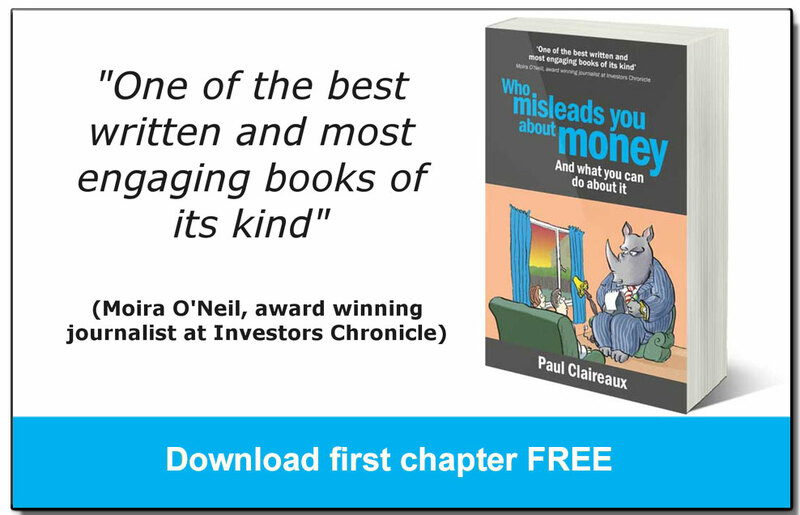 In this short extract from my book, ‘Who misleads you about money? I highlight a big joke about Goldman Sachs and their understanding of risk. The idea that we can ignore the possibility of very big moves in major stock markets is simply nonsense. The model used by some advisers for measuring risk may say that the chance of a 6% or more price move in a single day is only ‘one day in two million years’, but this is not the reality. There were around 15 such market moves in the S&P 500 within the space of not two million years, but just two years – and those years were right next to each other, in 2008 and 2009. In 1987 there were shifts in market prices of more than 20 standard deviations. On 19 October that year, the S&P 500 fell by over 20% in a single day. This is completely impossible, according to the model that is used to predict market risks. What’s incredible is not that these models don’t work for predicting risk – that much is obvious – but that our most highly paid and senior investment bankers ever believed that they did. 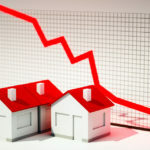 During the financial crisis that started in August 2007, David Viniar, Chief Financial Officer of Goldman Sachs, famously commented that 25-standard deviation (aka, sigma) events had occurred on several successive days. Sometime later an academic paper, ‘How Unlucky is 25-Sigma?’ was produced by Kevin Dowd, John Cotter, Chris Humphrey and Margaret Woods from Nottingham University Business School. They addressed the question of just how likely a single 25 standard deviation event would be. 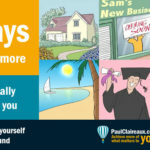 If you can’t get hold of that paper – it seems to have been taken off the Notts business school site – drop me a line hello@paulclaireaux.com and I’ll find it for you. The chances of this event – as described by Mr Viniar at Goldman Sachs, presumably based on a normal distribution model of returns – is truly breath-taking. • a 20-sigma event is equal to an expected occurrence of one day in the number of years equal to ten times the likely number of particles in the universe. These are impossibly small chances! But wait, we’re not yet at Mr Viniar’s 25-sigma assessment of what happened in 2008. According to the academics, we would need to take that 20-sigma event chance and divide it by 10 – not once but … 50 times in succession. As you can see, these chances are unimaginably small. So just think how unlucky you’d need to be for a 25 sigma event to happen several days in a row! And what can we conclude from all this? Well, surely it’s this: that the world’s highest paid investment bankers had no idea what risks they were taking with our money. That’s a scary thought, eh? So you might want to check in with your advisers on this question of risk measurement, just to make sure that they’re not working to the same risk model as Mr Viniar! it assumes that investors can make accurate forecasts of future returns by observing historical return patterns. Of course, this should raise alarm bells in your head right away. I mean, why on earth is there a requirement in law that all financial products carry a health warning to say we should NOT use past performance to predict the future? … and I’m with the regulator – at least on this one. The fact is – and I really do like facts – that historical returns provide no guidance as to the direction of future returns. 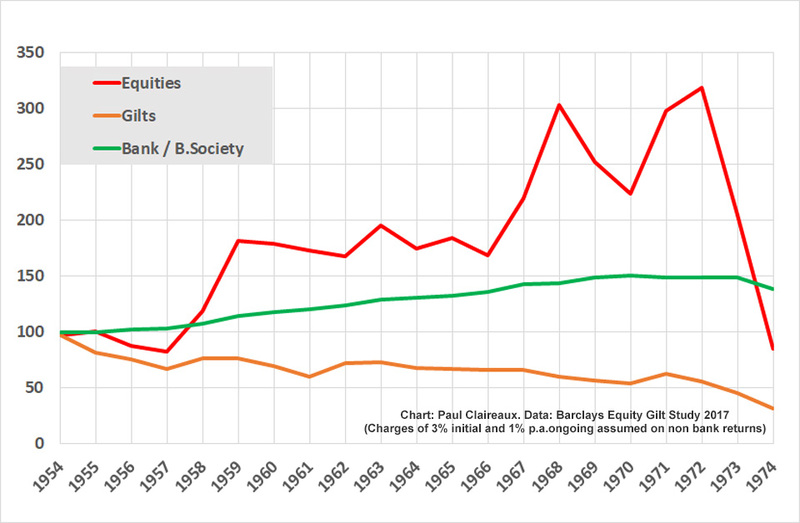 Indeed, if you get a long period of steady positive returns – as we have done these past 8 years, you probably need to read more Minsky than Markowitz. 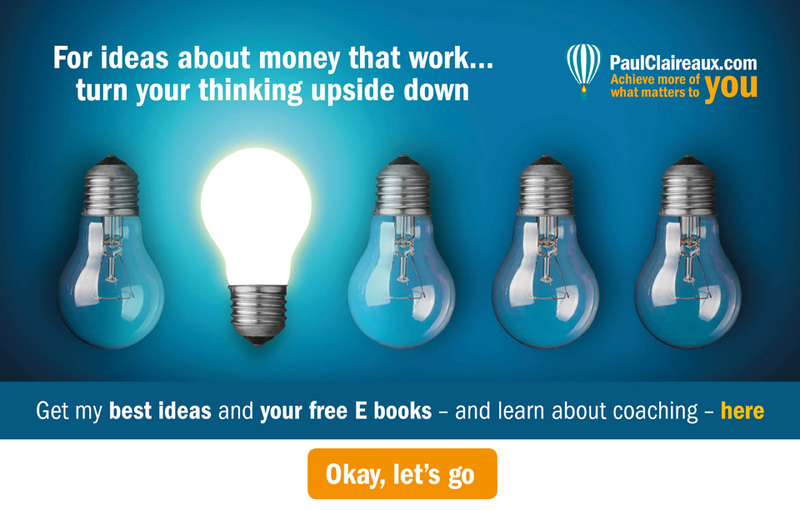 The fact that your wealth manager claims to follow the ideas of one Nobel Prize winner – doesn’t really mean a great deal. And what really worries me is that some advisers appear to have forgotten (or perhaps they never learned) the lessons of the Long Term Capital Management (LTCM) failure in 1998. LTCM was an enormous hedge fund – and it was run by Nobel Laureates! Yet it failed – completely and monumentously. Indeed, the failure was so serious that Alan Greenspan (the Chairman of the US Federal Reserve) decided that he had to bail out that LTCM fund. He was afraid that it’s failure could affect the whole banking system. So he persuaded various other big institutions to put up the money and rescue that failed fund. The problem was that those Nobel ‘experts’ at LTCM believed that they could rely on various investment ‘theories’ (from Markowitz and others) to predict the movement of asset prices. They believed that they could ‘mix up’ a basket of uncorrelated assets* (assets that don’t go up and down in price together) to produce positive returns in all market conditions. And they expected that these uncorrelated assets would continue to behave in an uncorrelated way – even under stressful conditions. We found out 1998 – that those theories were wrong! The fund holdings in LTCM didn’t behave as expected – and during a crisis in 1998 – when many big investors wanted to liquidate their funds – the prices of all kinds of assets fell in unison. And that wasn’t a ‘once in a generation’ event either. This is simply what happens in a crisis. So, if you think your adviser is relying too heavily on the ideas of Markowitz … and seems rather too happy to rely on assumptions about past performance being a reliable guide to the future … then just ask them how they ‘factor’ in the flaws in Markowitz’s theory that I’ve outlined above. 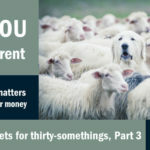 If your adviser can show you how he/she takes on board market valuation issues – and can coherently outline the ideas of another Nobel prize winner (Professor Robert Shiller) then they might be worth listening to on Investment matters. Shiller understands how markets are driven by our irrational herding nature and how this leads to the failure of the other theories about price movements. I gave Professor Shiller a copy of my book, ‘Who misleads you about money?’ when he visited Bristol for our ideas festival recently. … he did e-mail me to say how much he was enjoying reading it. Oh, and apologies for that Nobel name drop.